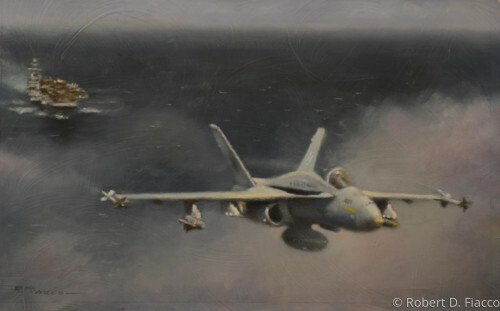 USMC F/A-18C Hornet over water before entering Iraq in support of Operation Southern Watch. 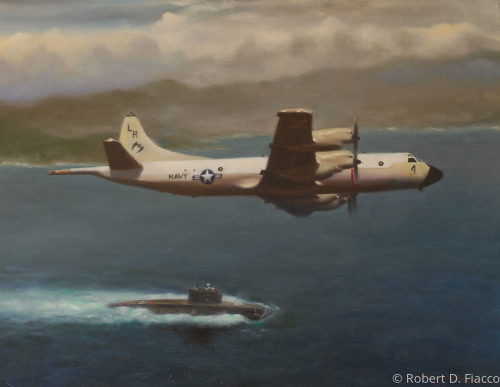 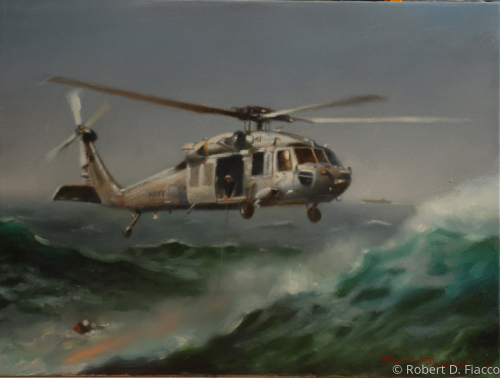 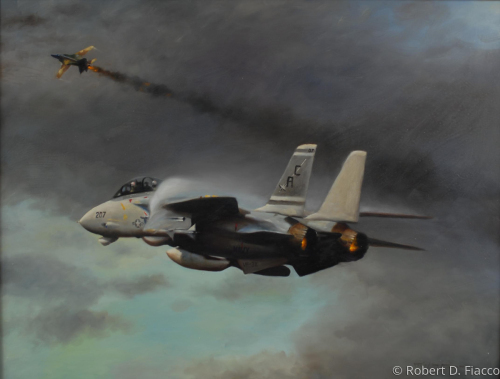 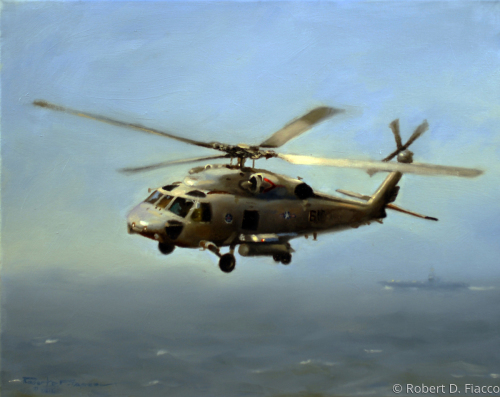 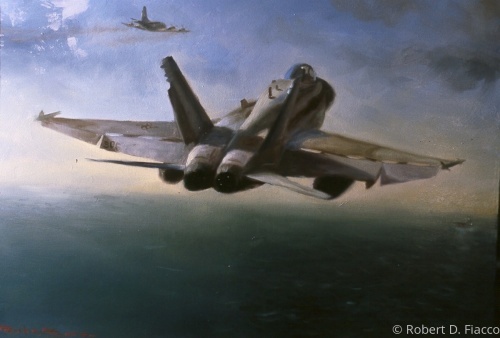 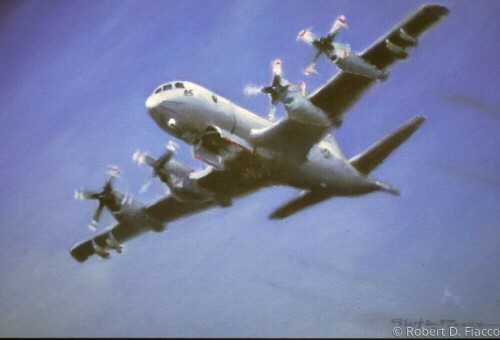 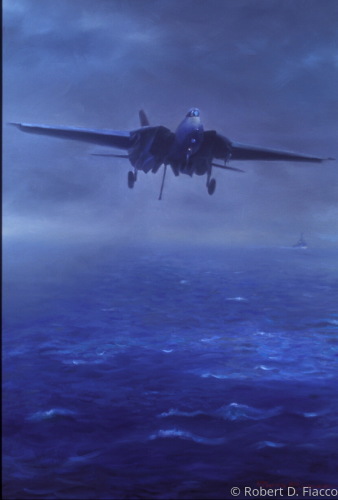 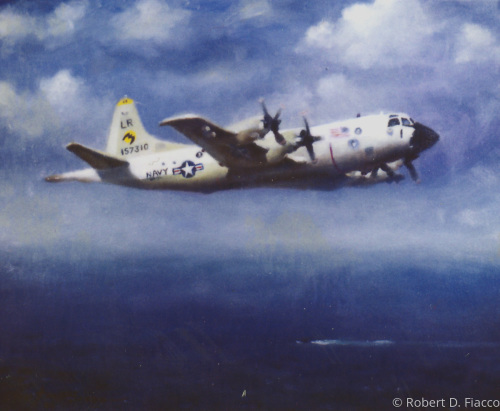 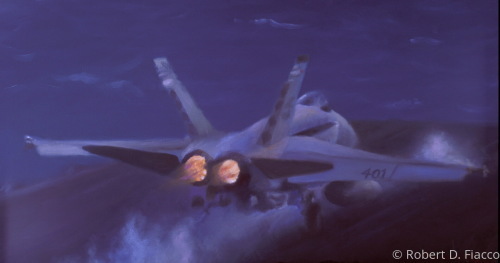 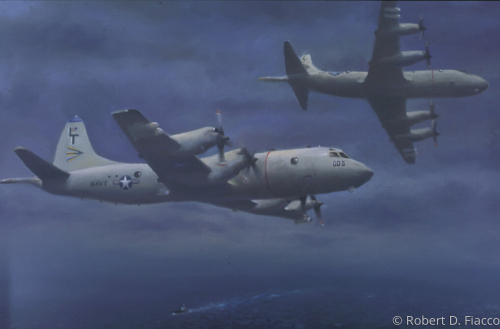 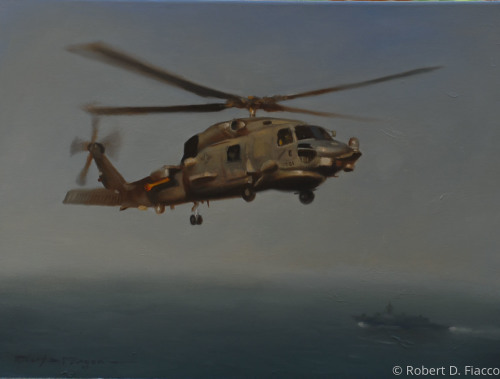 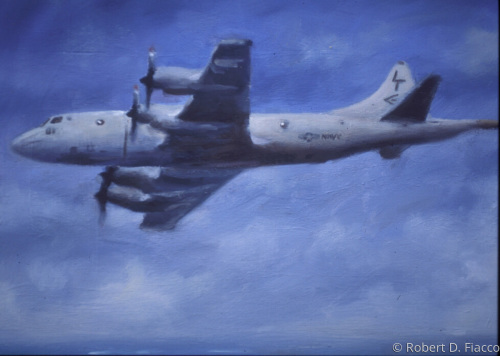 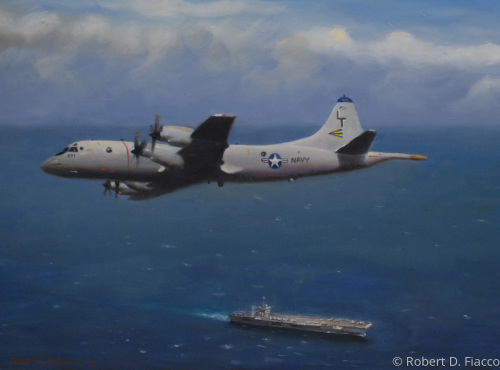 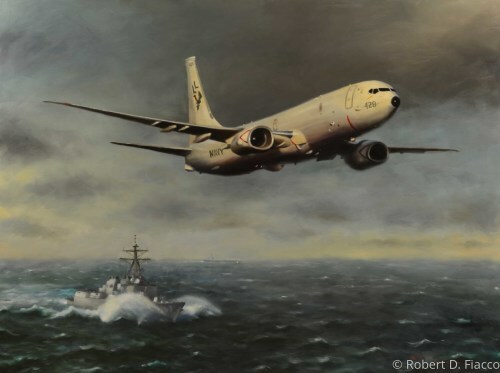 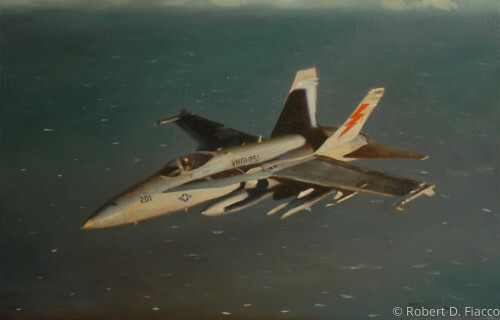 HH-60H rescuing down airman - Award winning painting at the American Society of Aviation Artist group showing at the National Museum of Naval Aviation 2011. 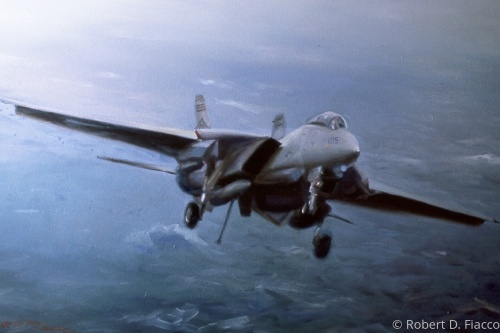 Downing of a MIG-25 over Libyan water in 1989 by VF-32. 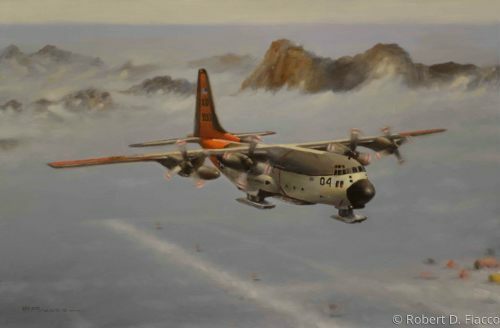 LC-130R overhead a remote science camp in Antarctica during Operation Deep Freeze.